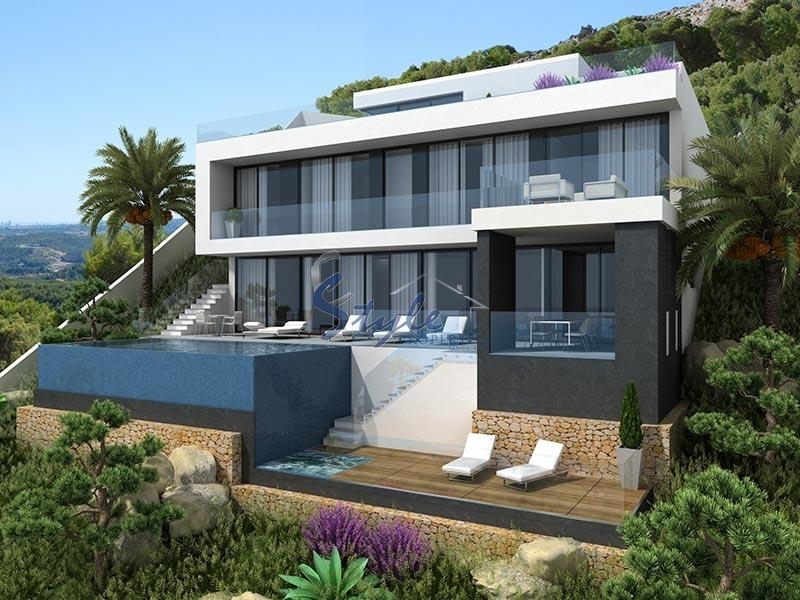 Luxury Villas with stunning panoramic sea views, located in the exclusive area of Altea. Each villa has a garden that has a private heated swimming pool and garage. 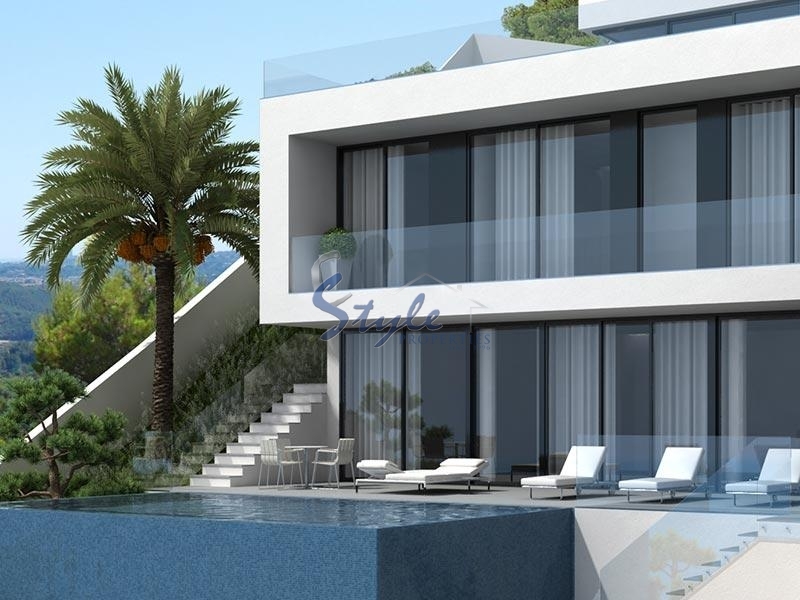 Villas with a total area of 330 m2 with 5 bedrooms, 4 bathrooms, a spacious living room with amazing views of the sea, dining area and kitchen. Each villa has a terrace with a total area 245 m2. All construction and finishing works are made using the highest quality materials and according to the latest modern standards. 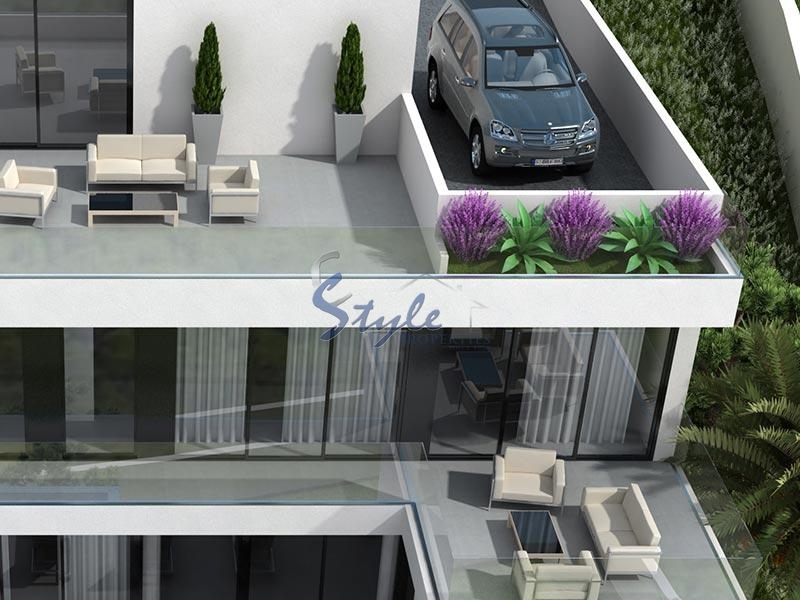 Villas are equipped with floor heating, central air-conditioning, double glazed Windows and automatic blinds. The kitchens are equipped with built-in furniture and new electronic appliances. The bedrooms have built-in wardrobes. In the bathrooms the plumbing and finishing is absolutely contemporary and with the highest quality. The villas are located in the holiday complex in one of the most picturesque places of the Northern Costa Blanca. Here is a wonderful nature combined with a developed modern district. 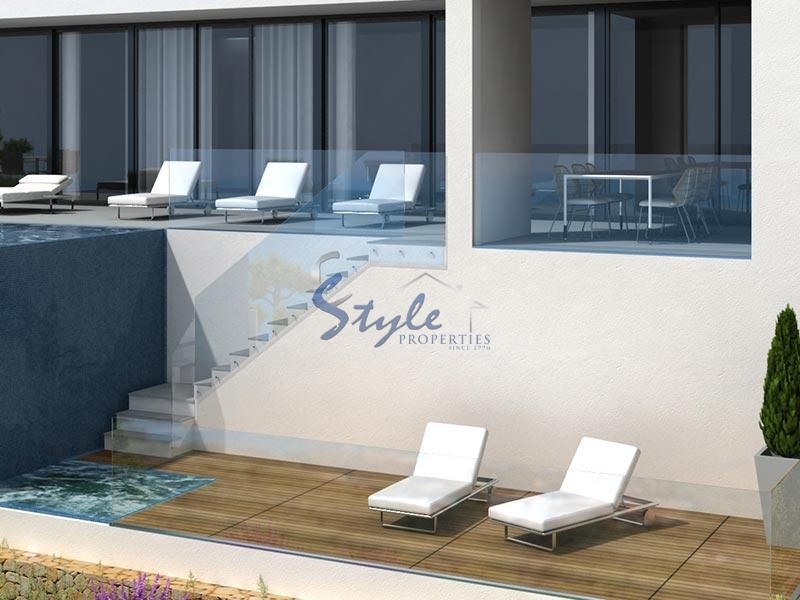 All you need you can find in the immediate vicinity of the villas: restaurants, stores, Bank offices, beauty salons and spas, sports and exercise facilities, and entertainment centres for all ages. Just a short drive to the white sandy beaches of Altea not far from the popular resort of Benidorm. Here you will find really nice Entertainment and Shopping centers, amusement parks, nightclubs, Casino and the famous "Benidorm Palace Hotel¨.